By Joshua Tauberer. Second Edition: 2014. Also available as a Paperback and for Kindle. Tweet me at @JoshData. 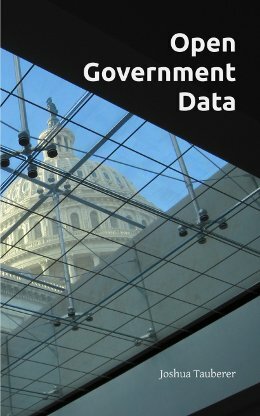 The principles, practices, and a history of the open government data movement. Open government data has changed the way we understand civics. This book is about the principles behind that movement — yes, it is a movement — and its development in the United States. Topics include principles of open government data, the history of the movement, applications to transparency and civic engagement, a brief legal history, data quality, APIs, prioritization, civic hacking, case studies, and paradoxes in transparency. I would like to acknowledge Justin Grimes, John Wonderlich, Jim Harper, Carl Malamud, David Robinson, Harlan Yu, Gunnar Hellekson, Alexander Howard, and Eric Mill for their contributions to my thinking about our field. In addition, I thank the Transparency Camp organizers over the years, where much thought on this crystallized. And I thank my mom for her help editing. This is the second edition of the book (2014). The first version was posted in 2012. Joshua Tauberer (@JoshData) is an open government advocate, entrepreneur, and software developer. He is the creator of GovTrack.us, which launched in 2004 and spurred the national open government data community. Bulk Data or an API?